Ultra lightweight style wrist brace. 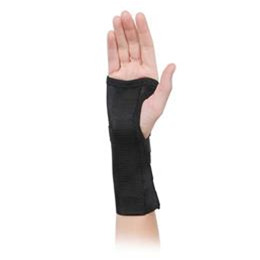 Removable and adjustable palmar stay for maximum support. Velcro™ closure for easy adjustment. 7" length.